Black Friday kicks off the biggest shopping weekend of the year, but the best deals may not be in stores. If retailers learned anything from last year’s Cyber Monday sales—breaking $2 billion according to Yahoo Finance, beating Black Friday’s just over $1 billion in sales—it’s that customers want more online deals for holiday shopping. 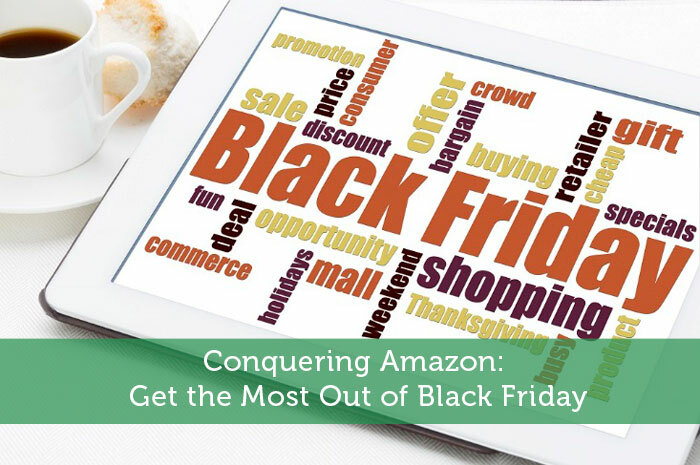 That isn’t to say that foot traffic for Black Friday is likely to drop much in the near future, but it does open a door for online retailers to take advantage of the iwhole weekend instead of just the one day of the holiday shopping season set aside specifically for online shopping. Not the least of these retailers is Amazon. Reuters reports the online retailer as the most-visited retail site on the Internet during Black Friday 2013, with even WalMart.com falling to second place for the duration of the billion dollar shopping day. The key to taking advantage of the best Amazon Black Friday deals is to plan for them early—the sooner you know what you want, the quicker you’ll be able to “get in line” online and buy it. This means staying abreast of current ads and sales, which means subscribing to Amazon’s promotional newsletter if you haven’t already. While iDigitalTimes reports that Amazon is already offering weekly deals as a countdown to Black Friday, the official Black Friday ad has yet to be released. There are rumors of gift cards valued at $200 being offered with the purchase of some high tech equipment, and sterling silver jewelry is already selling with discounts of over 75 percent. While Black Friday weekend is still doubtless Amazon’s number one for must-have offers, the online retailer is offering flash sales daily now, starting November 1st and ending December 22nd. This means that while you’ll still want to make that list and check it twice prior to Black Friday, you should check Amazon more than twice to make sure you’re getting the best deals throughout the holiday season. In recent years Amazon has become many consumers’ first choice for online shopping all year, never mind the holiday shopping season. However, with even niche news sources like the Christian Science Monitor reporting Amazon as one of the top five stores for shopping this Black Friday, with close to 300 “Editors’ Choice” deals available, it’s hard to deny that this is really where the online retail juggernaut reigns supreme. Black Friday’s number one product remains technology, so if you have a laptop or tablet on your list for this year, be aware that they sell fast and restock slowly. The best practice is to find the one you want on Amazon and add it a wish list now, or at least sooner rather than later. Doing this with the items you really want will make it easy to check their prices and inventory status as the holidays creep closer. Since you’ll need to know when the Amazon Black Friday ad is posted, you’ll want to sign up for updates from a site like BFAds—this way you’ll know when the ad is posted (or leaked) and be able to plan accordingly. You’ll also want to make sure you’re getting deals and offers from Amazon emailed to you periodically, and that your settings in that regard are turned up to 11 for the holiday season. To get the most out of every penny, you need to know every deal that passes over the online retail giant, and that means closely monitoring discounts and other offers. Also check out these Amazon hacks to save even more money. Shopping online doesn’t require a great deal of knowhow thanks to simple step-by-step instructions and easy checkout systems, it does still require a little work. But if you’re prepared for the rush, you’ll get everything on your list without a hassle. We have a local website that the same with Amazon. Right now, they have a great deal that lasts for 3 days and I just bought a brand new icon with a lower price from its regular price. I’m not an in-store Black Friday shopper (it would basically be my worst nightmare), but I am always interested in a deal on Amazon. I’ll have to keep an eye out since I’ll probably buy most of our Christmas gifts from Amazon. And, I agree with you on wishlists–very convenient for self and others!